Disasters both natural and human-caused can damage or destroy data and communications networks. Several presentations at the 2014 OFC Conference and Exposition, being held 9-13 March in San Francisco, will present new information on strategies that can mitigate the impacts of these disasters. Researchers created an algorithm that keeps data safe by moving or copying the data from data centers in peril to more secure locations away from the disaster. The algorithm assesses the risks for damage and users’ demands on the network to determine, in real-time, which locations would provide the safest refuge from a disaster. Other researchers suggest that if fiber-optic cables are down, wireless communication can fill the void and be part of a temporary, emergency network. For such a system to work, however, wireless technology would have to be integrated with the fiber-optic network that transports data around the world. Disasters both natural and human-caused can damage or destroy data and communications networks. Several presentations at the 2014 OFC Conference and Exposition, being held 9-13 March in San Francisco, will present new information on strategies that can mitigate the impacts of these disasters. Much of our computing these days, from browsing Web sites and watching online videos to checking e-mail and following social networks, relies on the cloud. The cloud lives in data centers — massive warehouses filled with thousands of servers that run constantly. Disasters such as earthquakes, tornadoes, or even terrorist attacks, can damage the data centers and the communication links between them, causing massive losses in data and costly disruptions. 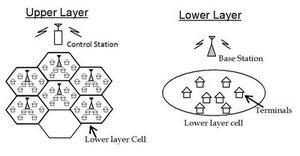 An Optical Society of America (OSA) release reports that to mitigate such potential damage, researchers from the University of California, Davis, Sakarya University in Turkey, and Politecnico de Milano in Italy, first analyzed the risk that a disaster may pose to a communications network, based on the possible damage of a data center or the links that connect them to users. Then, they created an algorithm that keeps data safe by moving or copying the data from data centers in peril to more secure locations away from the disaster. The algorithm assesses the risks for damage and users’ demands on the network to determine, in real-time, which locations would provide the safest refuge from a disaster. Presentation M2H.4, titled, “Disaster-Aware Dynamic Content Placement in Optical Cloud Networks,” will take place Monday, 10 March at 3:15 p.m. in room 130 of the Moscone Center. The work was done as part of a research project at UC Davis funded by the U.S. Defense Threat Reduction Agency. Earthquakes, tsunamis, and other natural disasters can sever the optical fibers that carry data across long distances, leaving telecommunications networks useless. If fiber-optic cables are down, wireless communication can fill the void and be part of a temporary, emergency network. For such a system to work, however, wireless technology would have to be integrated with the fiber-optic network that transports data around the world. Such an integrated wireless optical system would combine the speed and bandwidth of fiber optics with the mobility and range of a wireless network. This system could also be applied in home networks, in which data is sent via optical cables to the home then broadcasted wirelessly. One big challenge of an integrated system, however, is to develop the wireless links that can handle the speed and capacity of optical cables. Researchers from Fudan University in Shanghai and ZTE (TX), Inc. in Morristown, New Jersey, have now developed a new antenna architecture that allows for a simple and high-speed integrated wireless optical system. The design relies on two pairs of antennas, explains Jianjun Yu of ZTE. Because each pair is polarized differently and isolated, there’s no interference between the two pairs, allowing for a simpler structure and a larger transmission capacity. The new system achieves a data-transmission rate of 146 gigabits per second (Gb/s), which is the highest bit-rate-per-channel in a wireless signal shown so far, Yu says. Presentation M2D.7, titled “Antenna Polarization Diversity for 146 Gb/s Polarization Multiplexing QPSK Wireless Signal Delivery at W-band,” will take place Monday, 10 March at 5:30 p.m. in room 122 of the Moscone Center.